Your Town Square Energy sign-up request has been received successfully! At Town Square Energy, our plans are simple to understand, and there are never any signup fees. If you have any questions, please feel free to contact us. We will be more than happy to assist you further. NEW! Town Square Energy offers Energy Saving Kits, delivered to your door! As part of our mission to lower monthly electricity bills, we like to remind our customers to extend their saving potential by reducing consumption – it’s one of the easiest ways to save on electricity! To help you with reducing your energy consumption, we are offering Energy Saving Kits that have been specifically bundled to save you money. 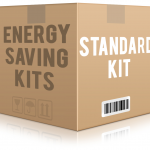 Our customers save a minimum of $100 in energy use per kit. You will also enjoy the convenience of having your kit delivered right to your doorstep. Visit our Energy Store today and order your Energy Saving Kit! It’s that easy!